Last week I made a cake for my friend's birthday. I didn't make it too big, mostly because she had a lot of cake recently so I decided to make it simple. Well, simple in my terms. It was an 8 inch round and about 2.5 inches thick. 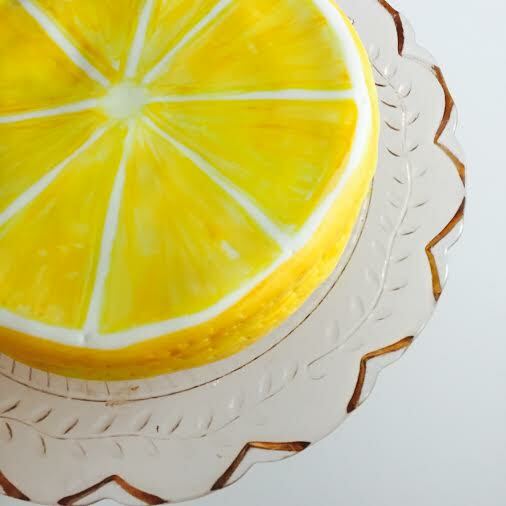 I knew I wanted to make a lemon cake so I had the idea of making it look like a lemon slice. So of course I went to Pinterest for inspiration. And there was nothing similar to what I wanted to make. I wanted something literal, and nothing. And then I found an awesome grapefruit cake that had the similar idea to what I wanted to do, and I can say it became a bit of my inspiration. For the lemon cake, I used a recipe from the amazing Barefoot Contessa, Ina Garten. It's an easy recipe. Although for the cake batter, I didn't use buttermilk. and made a lemon buttercream. For a cake like this, I probably would have also make a lemon curd too, if I had more time. I would have taken more pictures of the whole process, but I didn't think I would be sharing it on my blog since the cake was rushed. Sorry guys for the lack of details! And since I'm missing so many details, I'll explain how I decorated the cake. The cake is covered in white fondant. 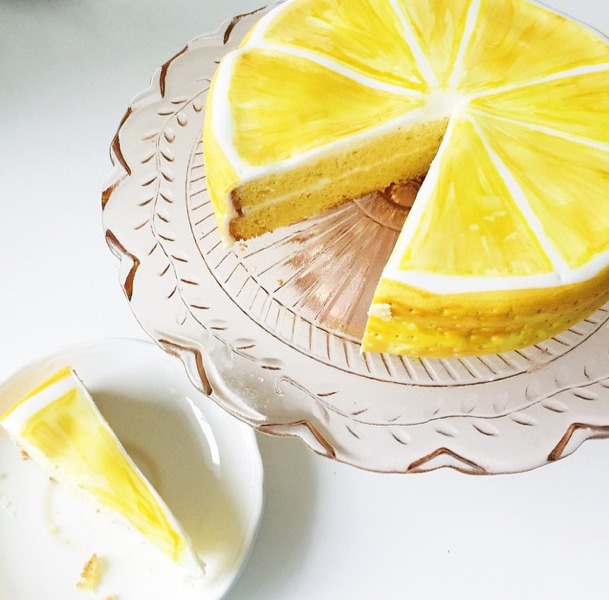 Once you have it covered, you can poke holes on the rim of the cake with a toothpick to give it more of the lemon exterior texture. 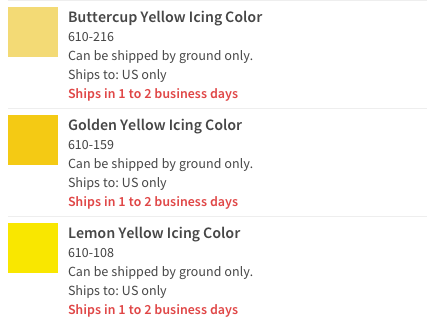 Once I was done doing that, I got my 3 different yellow food gels (Wilton's Buttercup, Golden, and Lemon), and mixed with a bit of water to act more of a "watercolor" and started to paint. 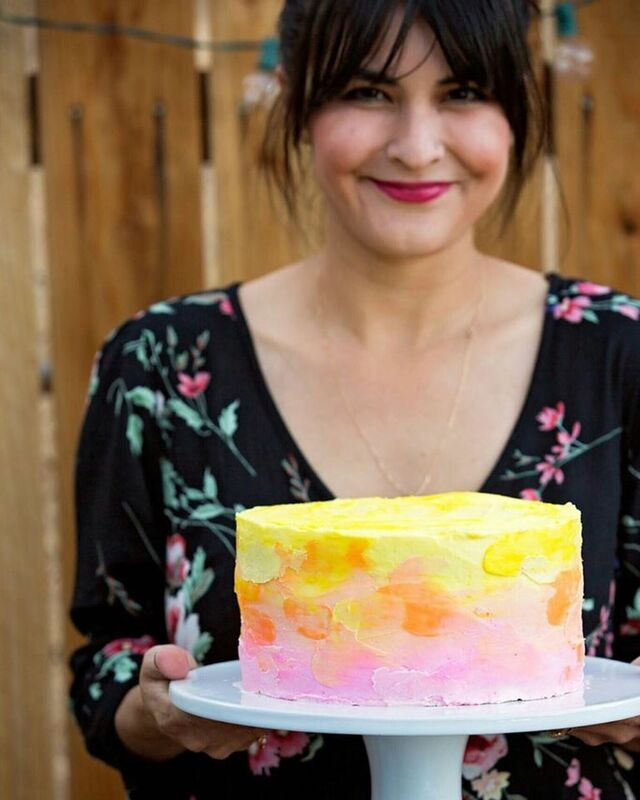 The edge of the cake is painted in the darkest yellow which is the golden yellow. Once I was done with the edge, I went to the slices. I figured 8 slices was a good amount. I painted them by hand and went with a blend of the lemon and buttercup yellows. And to give it a bit more texture, I finished it off with a tiny bit of the golden yellow(the darkest shade) Make sure to leave enough of the white gap between the slices, and edge just to distinguish each slice. The cake will look a bit glossy since it is painted, and has some water on the gels. But it actually dries and looks really cool when it's done. Honestly, I was pleasantly surprised with the cake. Mostly because I was working against time, and I hadn't truly planned on the cake. I seriously just made it. Here you can see how small it actually is. It is a good personal cake for someone's birthday. 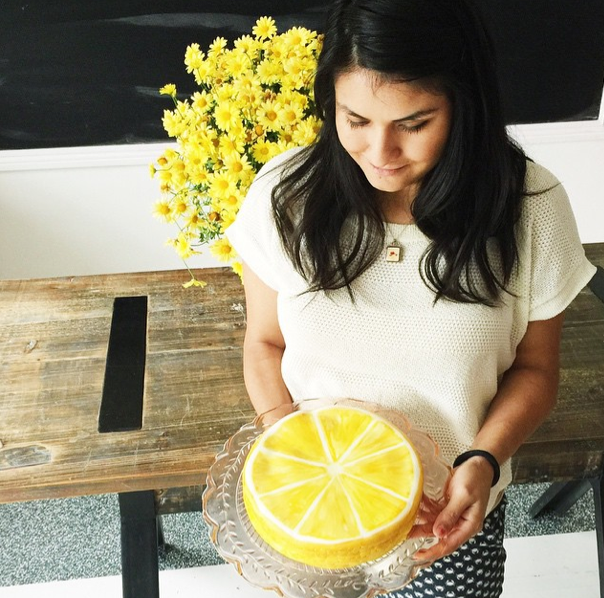 And what makes the cake fun is when you actually cut into the cake, you can literally be cutting a slice a lemon! Enjoy!! !